A violent thug kicked a custody officer in the groin in the cells of Birmingham Magistrates Court as he prepared to appear on a burglary charge. Shaun Higgins, 39, went on to carry out a string of assaults on staff at HMP Birmingham as he waited to be sentenced for the raid in which he pretended to be an 81-year-old man’s carer. One guard suffered a cut to the eye while another underwent tests and took medication after being spat at by Higgins. The Birmingham Mail previously reported the dozy crook’s five-and-a-half year sentence after he left DNA on a coffee cup at his victim’s home. Appearing at Birmingham Crown Court, he was handed a further nine month sentence for three charges of assault and one charge of causing actual bodily harm. The first charge related to his appearance at magistrates court on January 19. While in cells awaiting his hearing he pressed the cell bell. Christoper Lester, prosecuting, said: “The defendant was animated about his case. In the struggle as officer tried to close the door Higgins kicked him in the groin causing pain and discomfort. The further three assaults all took place at HMP Birmingham on March 3. Higgins again charged at one officer and then as he was restrained spat in her face. The thug spat in another officers face on the same afternoon before then attacking another jailer who was trying to tend to wound Higgins had inflicted on himself with a razor. Adding nine months to his sentence, Judge Philip Parker QC said: “You don’t need me to tell you that you have a dreadful record for violence. “As you understand good order in prison custody is essential. Higgins received one month on each of the assaults and six months for the actual bodily harm charge. All were ordered to be served consecutively to each other and the five-and-a-half year sentence he is already serving. The court heard Higgins had a string of violent convictions dating back to the 1990s. 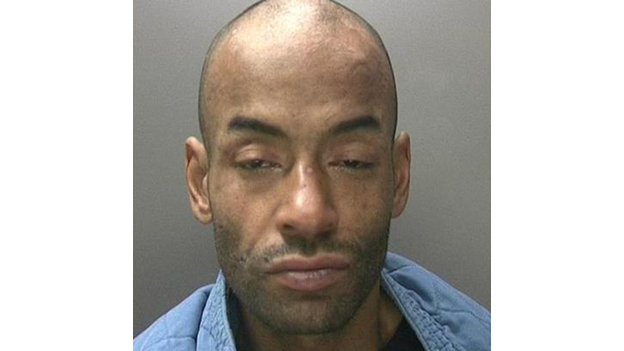 His latest came in March following the burglary on the home of an 81-year-old in Belgrave Middleway, Balsall Heath. Callous Higgins conned his way into the pensioner’s flat claiming to be his carer last October. However the bungling crook brazenly made himself a cup of coffee and unwittingly left his DNA at the scene. He went on steal the OAP’s mobile phone and laptop. Higgins eventually pleaded guilty to two counts of burglary, possessing an offensive weapon and witness intimidation.